It is the second time that the experts from ALVERNIA STUDIOS were invited to conduct Master Classes during TRANSATLANTYK Festival, an international film and music festival. The second SONY CINEALTA F65 camera has joined the impressive physical production equipment of ALVERNIA STUDIOS. It is the best digital camera in the world; the first one that can compete with 35mm film quality. Its technical specifications include recording in4K resolution with16 bit RAW outputand framerate up to 120 frames/sec. ALVERNIA STUDIOS took part in the production of the film “Bhaag Milkha Bhaag” (“Run Milkha Run”), directed by Rakeysh Omprakash Mehra – one of the most awaited Bollywood productions of the year. So far more than 13 million people have watched this film. 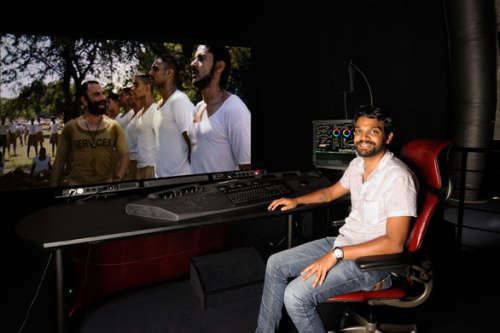 ALVERNIA STUDIOS, with its Mumbai office opened at the beginning of this year, was involved in the production of the film and was responsible for the color grading and sound edition.